Ivy was the team to beat, but Creemore was the team to watch. 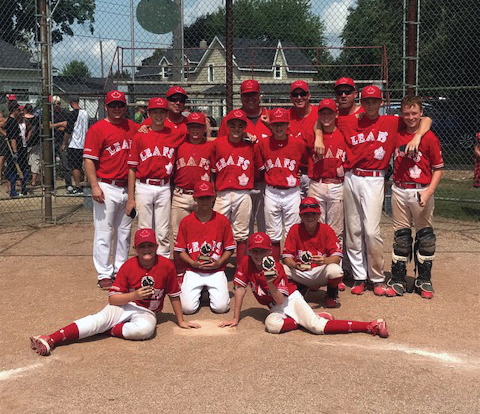 It was an electric atmosphere at Gowan Park this past weekend as 12 teams made the trip to battle for the chance to earn a spot in the provincial baseball championships for Peewee. Creemore came in as the number 4 seed and squared off with the Newmarket Hawks on Friday night. Cal Stinson (6-0) continued his dominant season throwing a complete game no-hitter, striking out 4. The bats came to life after a half hour lightening delay, finishing off a 10-0 win. Paired against Aurora (12-3-1) Saturday morning, Creemore looked sleepy and played sloppy, the team battled back ultimately falling 8-7. The Braves with their backs against the wall next faced Markham (12-4). 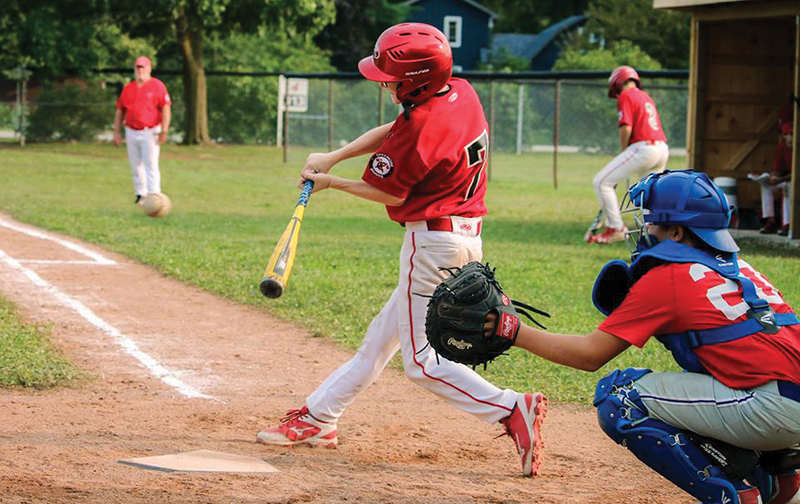 The sloppy play continued for much of the Markham game, Creemore found themselves losing 8-3, down to their last three outs. A Markham Coach was ejected for arguing a close play at first base, Creemore followed with a double, a bunt single, a walk and another single. With the bases loaded and one out in the bottom of the seventh, Cameron Pratt crushed a fastball over the fence in right center field for a 9-8 Braves walk off win. Creemore matched up against Aurora once again, the Braves full time catcher Tyler Higginson got the start and pitched a complete game shutout giving up only one hit in a 10-0 win. The offence carried over from the Markham game with Anson Dupuis and Stinson hitting back-to-back home runs in the first inning, putting the Braves into the semifinals. 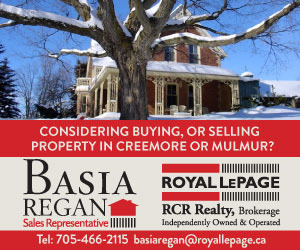 Creemore came out slowly again Sunday morning against the Barrie Baycats (12-4-2) falling behind 8-3. Landon Grant came in to hold the Barrie offense down as Creemore come back to make it 8-6. With two outs in the 7th inning Seth Shakell fell behind 0-2 with the bases loaded. Reaching down to the dirt, Shakell scooped a handful of dirt and put it in his back pocket, magic struck again. Shakell lined the next pitch into center field scoring two runs to tie the game, then Rowan Lester followed by flaring a ball into left to score two more runs, Braves win 10-8. The title game was set, Creemore versus Ivy (16-0-2). The Braves bats came out scorching, scoring three runs in the first inning in a hurry, but Ivy answered with five runs of their own. Both teams battled back and forth in the way a championship game should be played. Down 10-8 in the seventh inning with a runner on, the magic fell short and Ivy came away with the win. It was an outstanding weekend that saw the heart of the Creemore order Dresdon Dupuis, Anson Dupuis, Stinson, Higginson and Hunter Strong put up crazy numbers. The magical moments however came from the role players who when given the opportunity, shined on the big stage. It was a great weekend and an outstanding year. Many thanks to my lovely wife Sabrina who was the main tournament organizer, Tom Gateman, Donna Harper, Dan Gowan, Robb and Paula Stinson, Sue and Ed Strong, Rob Perkins, Julie Waltho and Robert Kinghan. Without their huge contributions the weekend would not of been able to happen, I’d also like to thank our teams sponsor Tarpin Lumber. Many thanks to all the other volunteers, John McNiven for organizing the umpir es at Ives Park and Drew and Rhonda Millsap. Also thanks to all that helped towards the renovating of the small diamond and dugouts at Gowan Park. Good luck to Kirk Helleman and the Ivy Leafs in the provincials, show them that we were beaten by the best. Thanks for the great season.